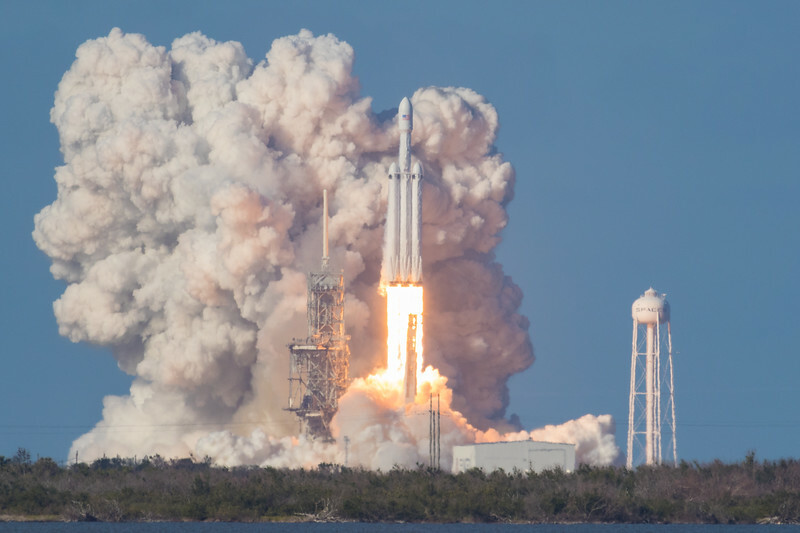 At 3:45pm (ET) SpaceX and Elon Musk successfully launched the Falcon Heavy rocket from historic Pad 39A at Nasa's Kennedy Space Center in Florida.. Approximately 8 minutes after launch, the two outer cores would return safely to SpaceX's Landing Zone 1 at Cape Canaveral Air Force Station. According to SpaceX CEO Elon Musk, the center core ran out of fuel needed to relight 3 engines for the re-entry burn. The core was unable to slow its descent and it crashed into the Atlantic Ocean at approximately 300 mph. Musk added that he was most interested in recovering the two outer cores, as they flew with titanium grid fins, which are very expensive to make.